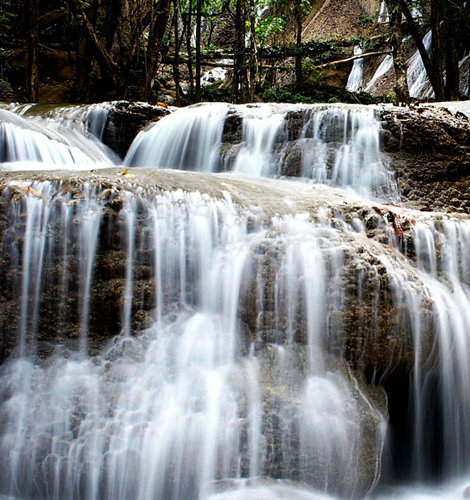 The water source of Pha Tad Waterfall is from Kala mountain range flowing through limestone cliffs towards the area of this waterfall. 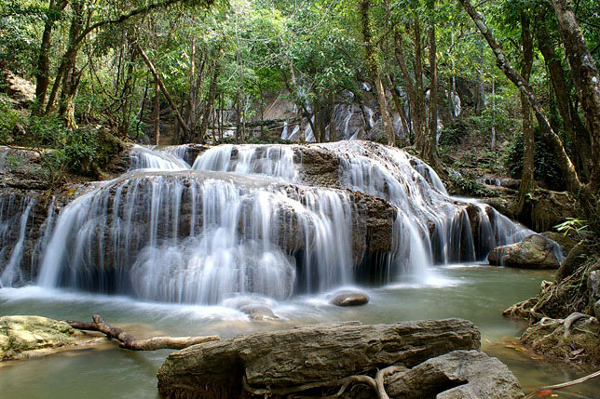 Although this is a three-tier waterfall, visitors do not have to walk up to the high hill as many waterfall because it in fact widely spread to the ground. 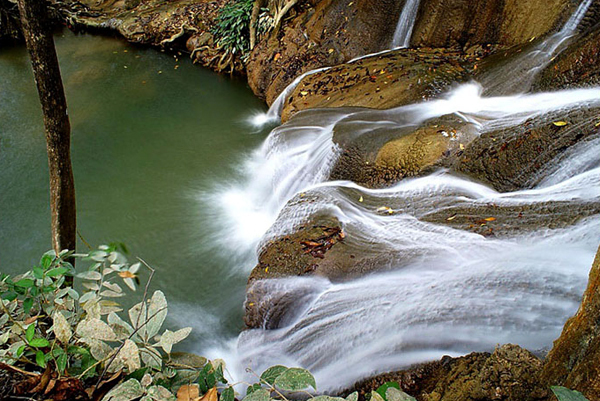 Therefore, the waterfall scene is fascinating with widely beautiful view from the fall. 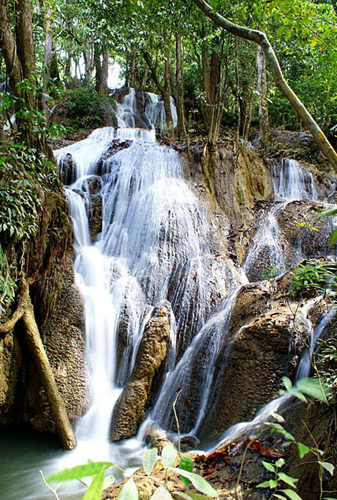 The front of this waterfall on the third tier, for example, is more than 10 meters, which is really outstanding. 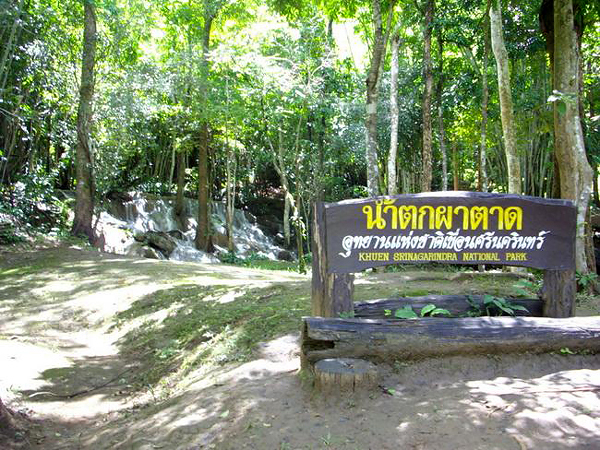 There is a good walkway reaching to this waterfall, not difficult for visitors to climb up. 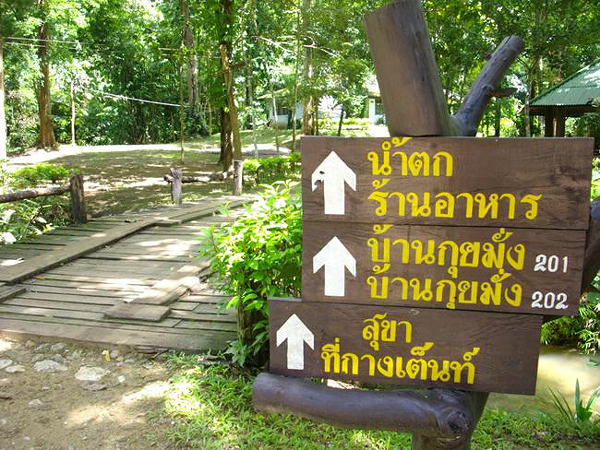 The walkway is also surrounded with flowers and trees, so visitors can feel relaxed while walking towards the fall. 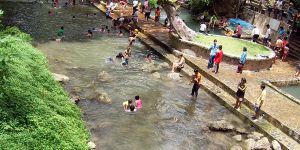 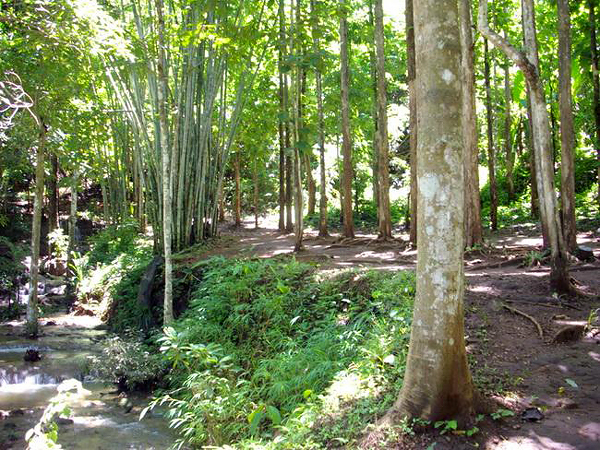 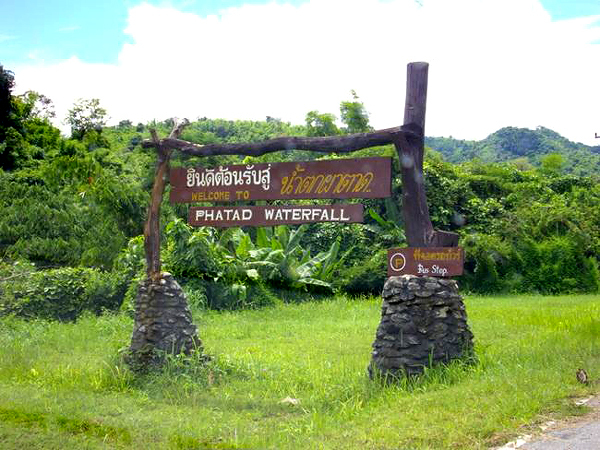 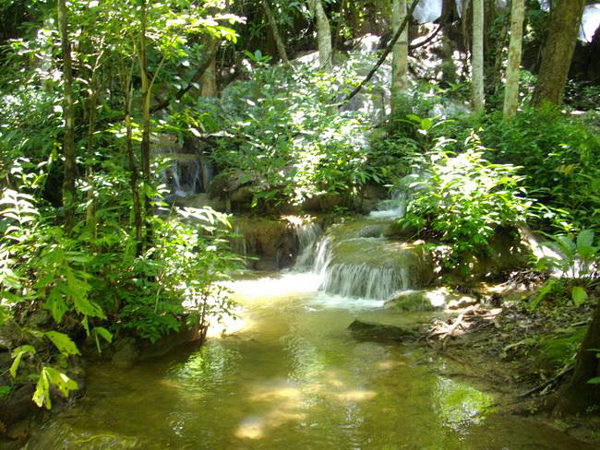 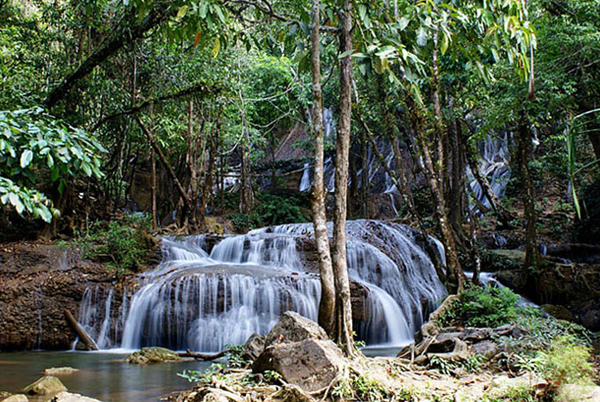 The area of Pha Tad Waterfall is clean and well managed by the national park, which is only 300 meters far from the center of the national park. 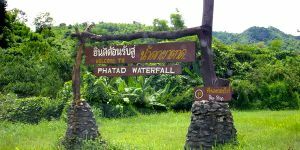 To get to Pha Tad Waterfall, there is no public bus available, although the main direction is the same as Hin Dat Hot Springs (but need to go further for approximately 10 kilometers). 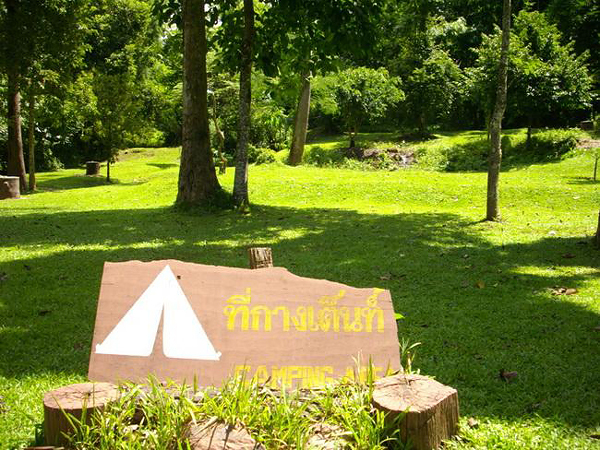 Visitors will have to hire or rent a car to be there. 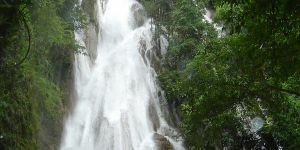 Package tour would also be available as well.